A group of African girls have made an engine that runs on a truly renewable resource: human urine. Take a deep breath, though. This isn’t some sort of perpetual motion machine powered by pee. The separating of the hydrogen from the urine requires a source of electricity–and quite a bit of it. 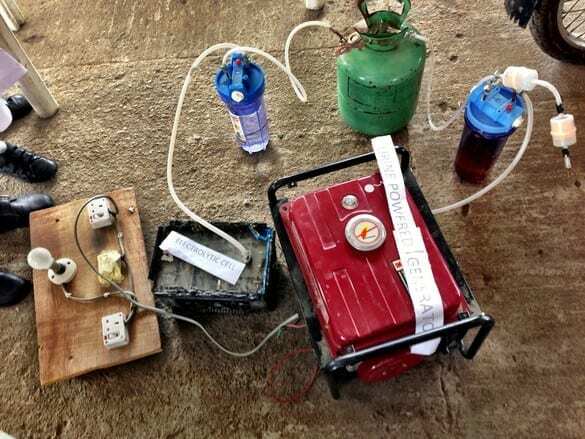 While the ammonia and urea in your urine make it easier to separate the hydrogen than it is to separate hydrogen from water (which is why we can’t use water as a power source) this generator still requires a large power input to work in the first place.